Swan Attack Causes Man to Drown. A Mute Swan attacked a man in a kayak, causing it to capsize. Once the man was free of the kayak, the attack continued. Each time he would surface, the swan would force the man underwater. The swan did not stop until it was certain the poor guy was drowned. 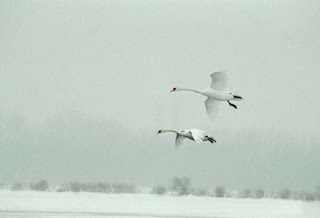 Mute Swans cupped and landing. This happened at a housing project water retention pond. The man was actually the swan's "caretaker". He was using the swans to attack any Canada Geese that approach the pond. 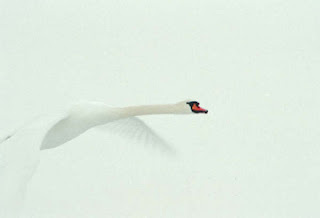 The swan species involved here is the Mute Swan(Cygnus olor). An invasive species, native to Europe and Asia. Mute swans have been used as garden pond and mote guards for countless years. Humped, orange and black bill. Our 30 lb, native Trumpeter Swan(Cygnus buccinator) is the largest waterfowl and will avoid contact with people and populated areas. While the Mute Swan thrives from human contact in urban areas. Swans are fascinating to watch but if you are in small watercraft, keep your distant. 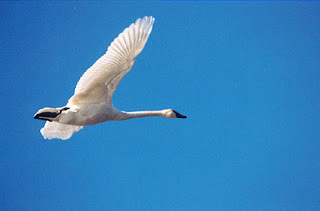 Trumpeter Swan, largest waterfowl, native to North America. 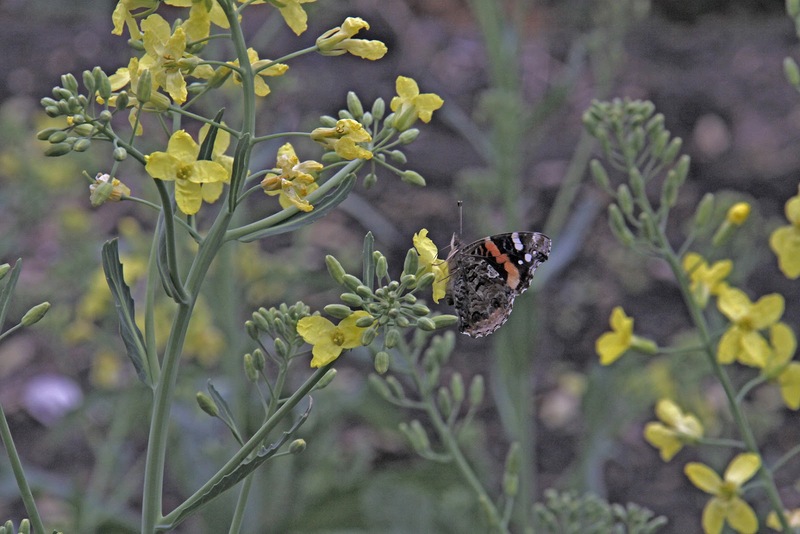 A Red Admiral Butterfly visits a Collard Flower for a sip of spring nectar. 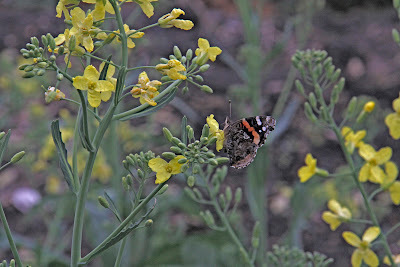 Red Admiral Butterfly pollinates Collard Flower. Click on pic to make bigger. 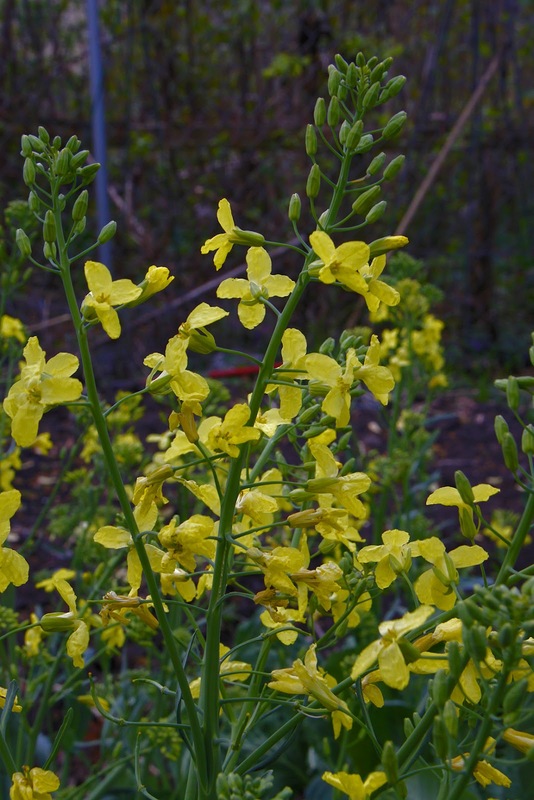 In return, the butterfly deposits pollen, that was collected on its body, from another plant and pollinates the collard flower. 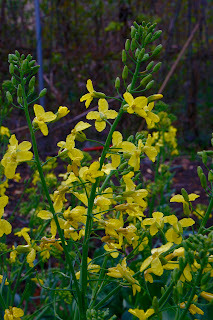 Left collards, cabbage, and turnips in the ground last fall. They not only survived the mild winter but they grew during the warm spells. We had fresh greens all winter. Now, they have spiked and gone to the flowering stage. Very soon, the flowers will become seed pods. Then they'll die, when the pods dry, I'll collect the seeds for future plantings. Flower Spike, CollardClick on pic to make bigger. 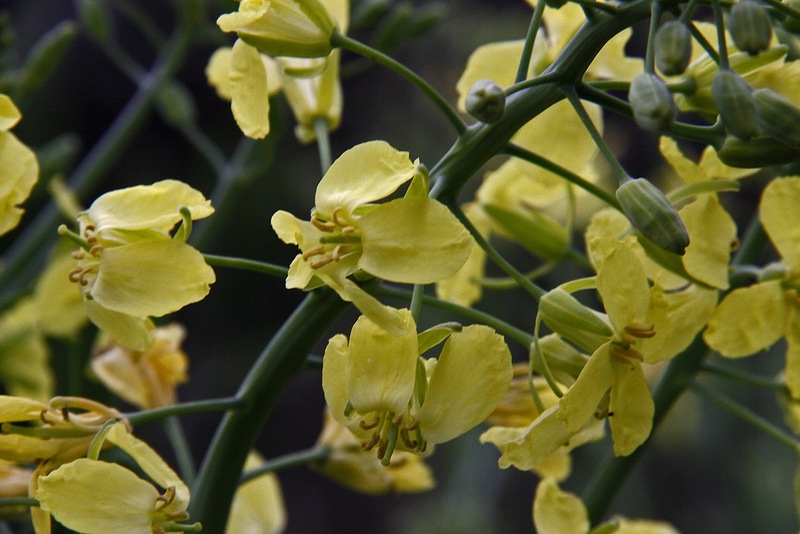 The collard flower spikes may grow up to five feet tall. Leaves grow on the lower half of the spike, flower buds on the upper half. The leaves are edible. If we want a healthy serving of greens, we'll pick one or two leaves from each plant. You see, the leaves make the sugars that the plant uses to produce the flowers and seeds, so you want the plant to have a health growth of leaves so the plant will make healthy seeds.